SASid has emerged as one of the leading providers for developing, marketing, and administrating unique insurance plans for affinity groups and representing millions of members nationwide. We do this by providing simple to understand exclusive or discounted insurance products which members need. We are an active partner which invests resources to promote, educate, and help members with the products and have a professionally licensed call center dedicated to helping members with their insurance needs. Transparency builds Trust and we provide our partners with 24/7 access to data to understand the progress of the programs. Are you an affinity partner interested in building exclusive or discounted member insurance benefits which create lasting & profitable relationships? Get in contact with us! 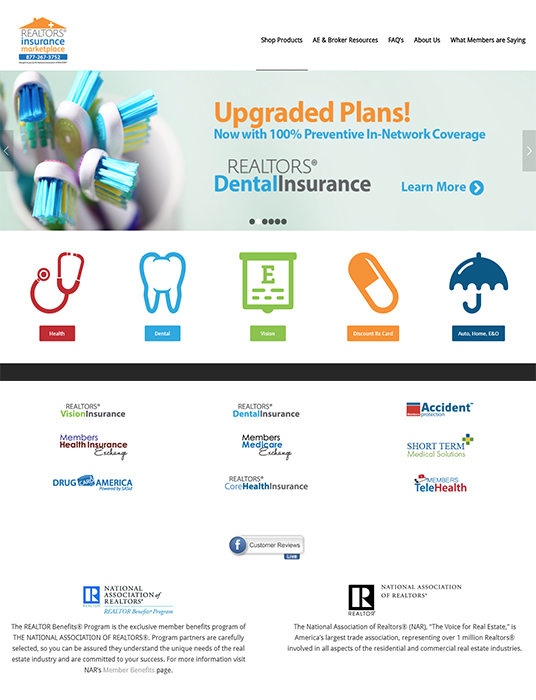 SASid is a proud partner in the NATIONAL ASSOCIATION OF REALTORS®’ REALTOR Benefits® Program. We’re pleased to say that we’ve been a trusted partner since 2009, creating and administering REALTORS® Insurance Marketplace and offering multiple exclusive products to NAR members. We are nationally licensed, and our sincere mission is to help people access and understand insurance. Contact one of our product specialists below to answer your questions, and thank you for your interest in the Marketplace!